Dassault Systèmes has announced that Naval Energies, a leader in marine renewables, is using the company’s 3DEXPERIENCE platform to develop new offshore floating wind turbines and Ocean Thermal Energy Conversion (OTEC) turnkey solutions, and drive its leadership in marine renewable energies. Programs include the Groix and Belle-Ile floating wind farm, a pilot project to install four 6-MW wind turbines off France’s Atlantic coast that will produce electricity for 20,000 households. 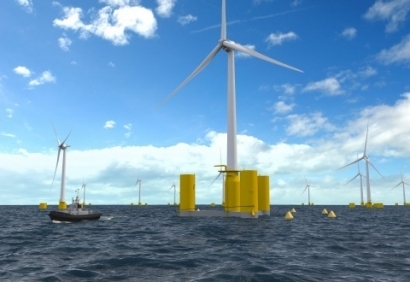 The project aims to optimize floating wind farm technology and infrastructure before full-scale deployments and, ultimately, contribute to energy transition in France. Naval Energies is the prime contractor for semi-submersible floating systems. “The marine marketplace is shifting due to a heightened focus on alternative energy sources. Innovators like Naval Energies are entering new segments with new business models,” said Alain Houard, Vice President, Marine & Offshore Industry, Dassault Systèmes.